Since my first visit in 1975 most of the station sites have been cleared. However a number of buildings remain and the majority of the trackbed can be walked without difficulty. 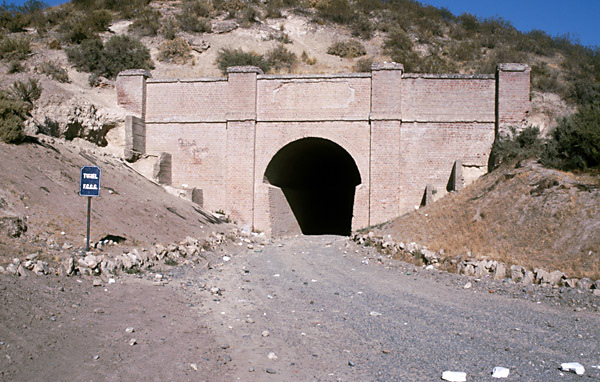 Obviously, examples of the 1922 locos and stock remain in use at Esquel, and also on the RFIRT line down at Rio Gallegos. Save the file to your desktop. Drag it onto Google Earth's Places palette. You will now find that you have placemarks for each of the main locations along the route, and four paths to enable you to 'fly through' the route as if in a helicopter. Select one of these and click on the start button to commence the flight. • FCCC Puerto Madryn a Dolavon A flight along the original route from Puerto Madryn to Trelew, and on along the extensions to Gaiman and Dolavon. 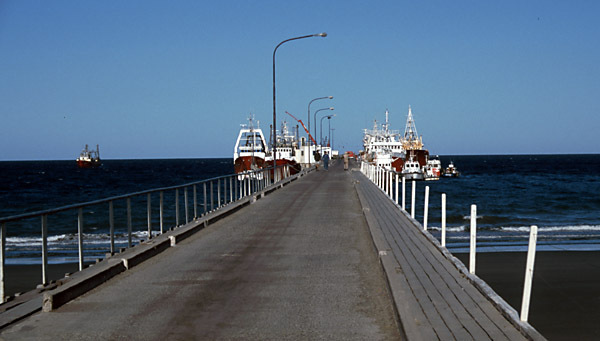 • FCCC PM muelle to aerodrome branch From the muelle, through the town of Puerto Madryn and then south along the 4 km. branch to the aerodrome. 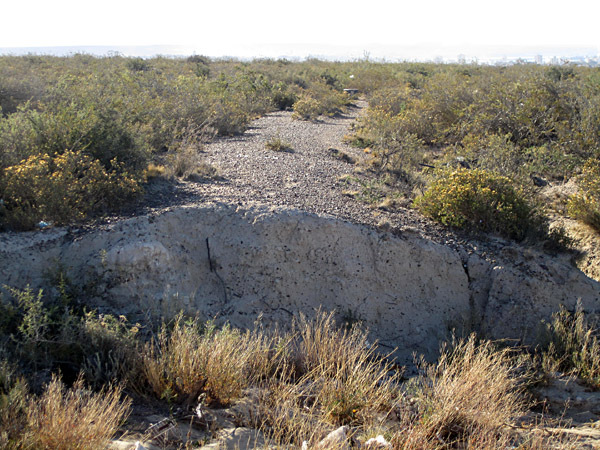 • FCCC extension to Alto de las Plumas A flight westward along the 1920s trackbed from Dolavon to Alto de las Plumas, though it should be noted that the terminus has not yet been identified precisely in Google Earth. 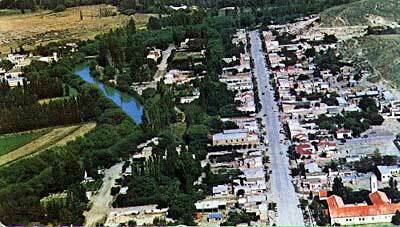 • FCCC extension to Rawson & Playa Unión The 1920s branch from Trelew through Rawson to the mouth of the Chubut river. The 1908 railway muelle survives, though with some replacement sections and a later extension. It is now known as the Commandante Luis Piedrabuena muelle. 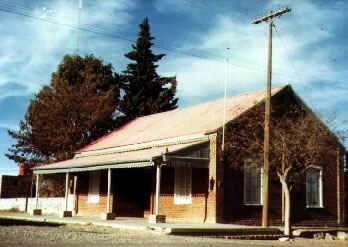 Puerto Madryn station building was the town's bus and coach station for many years. However, a new coach station has been recently opened (2000) behind on old railway land (behind the camera). 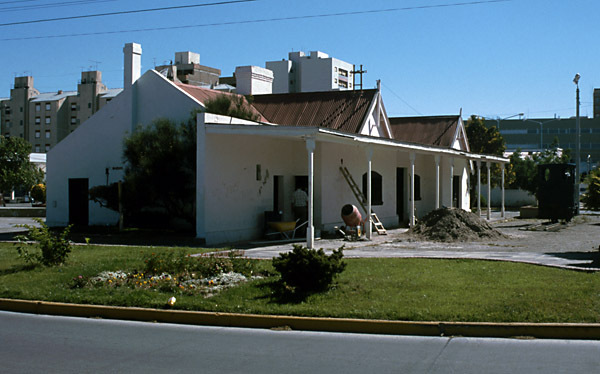 The original building has not been opened as a town museum as once was proposed, but it does contain the office of the Centro de Studios Historicos y Sociales de Puerto Madryn (CEHYS). Metre gauge 2-6-0 no. 3 of 1888 has been moved to the erstwhile platform side of the building. Up on the higher ground north of the station (from where many early photos were taken) is an old railway-owned house that may originally have been the manager's or engineer's residence. Later it became a technical school of some kind. It is now a listed building. Within its grounds remain the bodies of several 75cm gauge vans. The trackbed can be identified along most of its length, but can easily be mistaken for other paths. In the absence of large-scale maps an explorer would be well advised to take print-outs from Google Earth or the like to help identify the route. 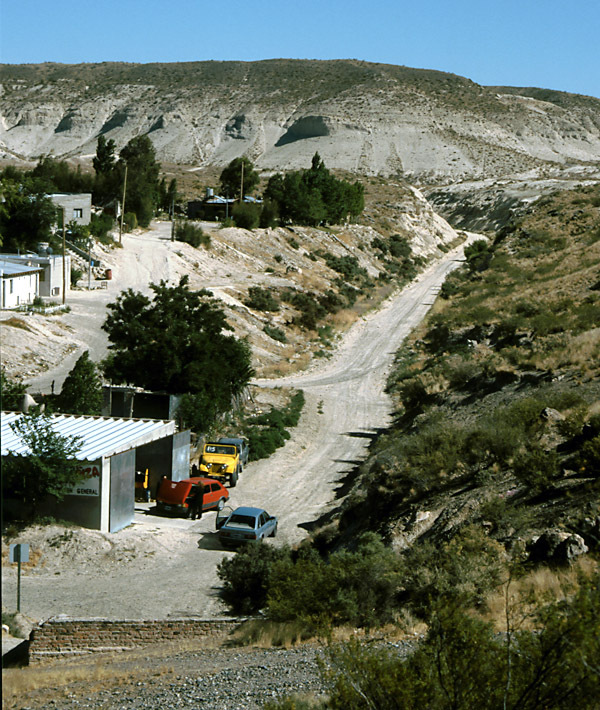 This view was taken on the hillside above Puerto Madryn, and it can be seen that a storm-water gully has cut through the railway's low embankment in the foreground. Whilst walking the trackbed is possible, the long distances make a mountain bike more suitable. 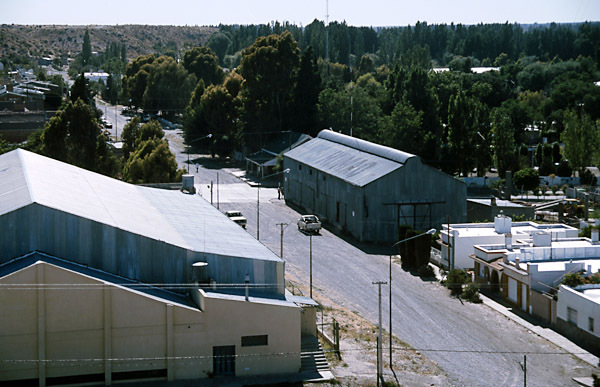 At Trelew the station survives as the Museo Regional 'Pueblo de Luis'. Orenstein & Koppel 0-4-0WT 'Rodolfo' of 1936, from the Florentino Ameghino dam works railway, is preserved at the back of the building. The platform side of Trelew station, now surrounded by gardens, and with the contractor's O&K loco just visible on the right. 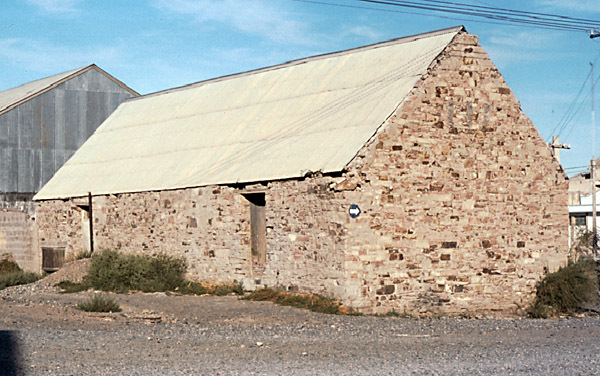 In 1975 the Trelew goods sheds were still in use, including a stone-built one which would have looked quite at home in Wales. However these have now been demolished. The trackbed still runs round the south side of the town near to the bridge. Beyond Rawson on the way to Playa Union recent road widening has taken out the old embankment but the abutments of an old culvert can still be seen in the central reservation of the new dual carriageway. 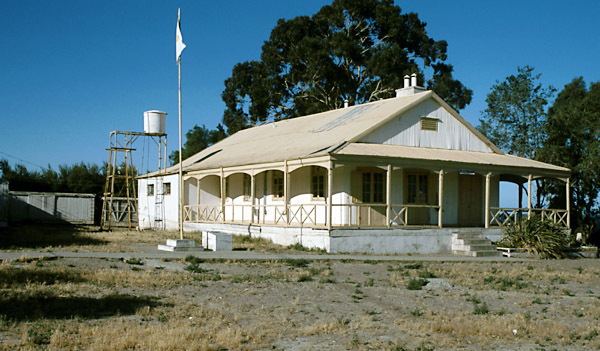 Rawson town museum has a number of photos of the railway on display. A modern view of Gaiman Station is shown below (1). This building is now the Gaiman Museum. It possesses a number of old photos of the railway. In the aerial view below, taken from above the tunnel mouth looking east, the goods shed is clearly visible with the station building in shadow beyond. The 1909 extension to Gaiman terminated along the line of the street, but the 1915 line on to Dolavon had to branch off further back, curving through the site of the new sports centre in the left foreground. The eastern end of Gaiman tunnel. 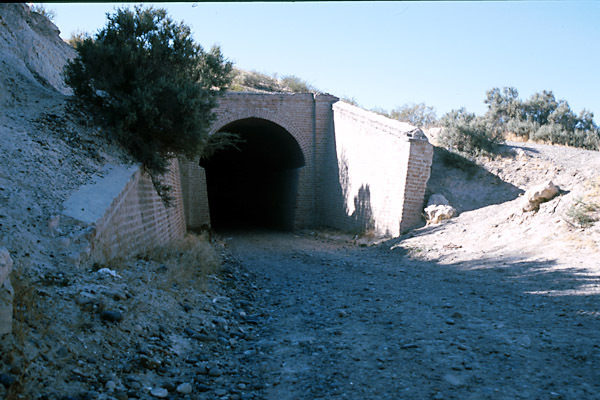 The brickwork remains in excellent condition and the tunnel can be walked or even driven through, as long as you are prepared for a dark spot in the middle where the curve hides both ends. The opposite end, facing north into a long cutting. The view from the tunnel mouth. And a high level photo showing the trackbed heading north before it turns west again. Dolavon station, as seen in 2004. 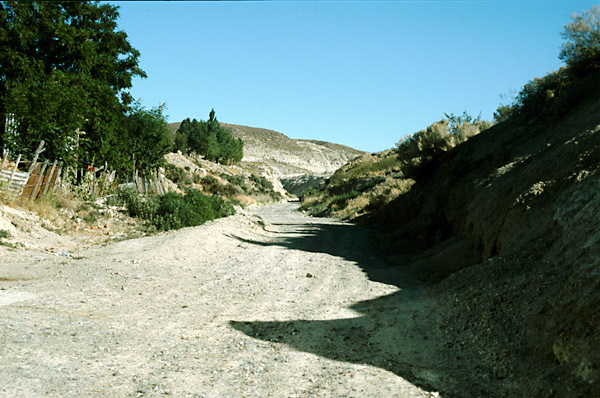 The far end of the trackbed, beyond Campamento Villegas, is clearly visible from the main road. It is usually within a couple of hundred yards (metres) of the road. 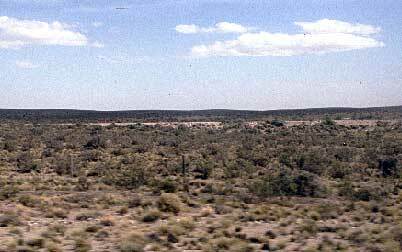 In the photo below a shallow embankment can be seen amongst the scrub. 1 Photo taken by Gerallt Nash 1975. 2 Aerial photo from a postcard purchased in 1975.